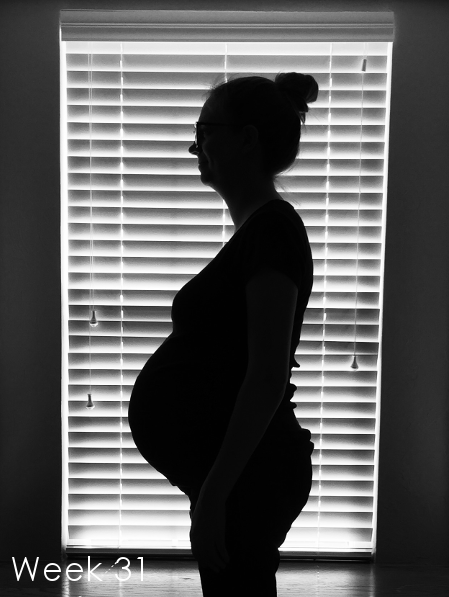 That’s over 8.5 lbs of baby total – I’m really starting to stretch! My appointment went well, the doctor said I’m doing great. I know that almost everything having to do with this pregnancy is entirely out of my hands, and I’m so thankful that God has allowed me to carry these boys for this long. Twins are so often premature. At this point, I definitely feel like every extra day they stay inside me is a blessing – but I also can’t wait to meet them! I had an ultrasound at this appointment, and it was good to get to see them again. It turns out that Baby A has flipped back around and is breech again. Hopefully he’ll decide to go head down before delivery time. It’s getting harder to tell what’s what on the ultrasound, since they’re getting so big. We did get to see that they have some hair, and Baby B yawned a few times for us, which was adorable. Their little cheeks are getting chubbier, so it’s good to see that all that food I’m eating is being put to good use. I’m going to start having bi-weekly nonstress tests next week, and they’re supposed to take about an hour and a half, so that should be fun. 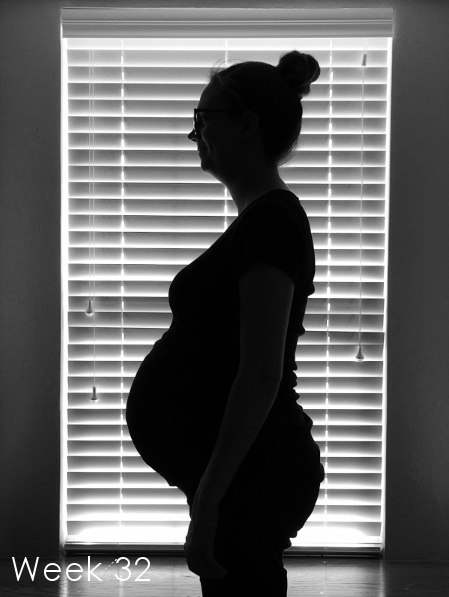 My next doctor’s appointment is in two weeks – I can’t believe I’ll already be 34 weeks by then! I don’t have any new symptoms to report, just the usual reflux, backaches, not much sleep, and swollen ankles. I did have a wonderful baby shower this past weekend. It was such a sweet time to celebrate the boys with friends and family. Check out my post about it!